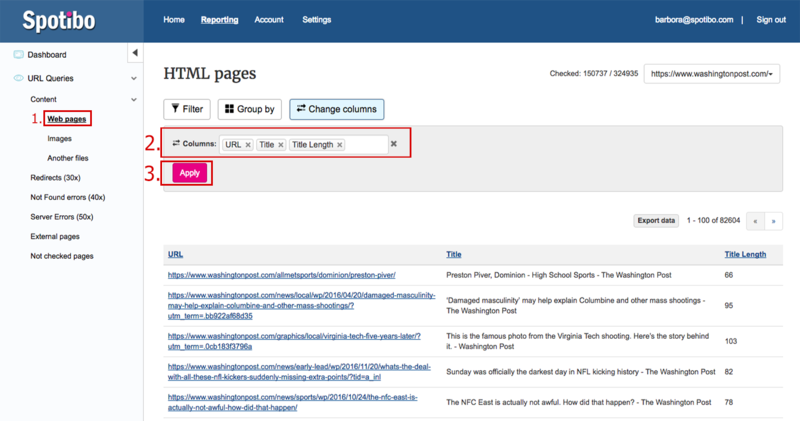 Use the Change columns button and pick “URL”, “Title” and “Title Length”. 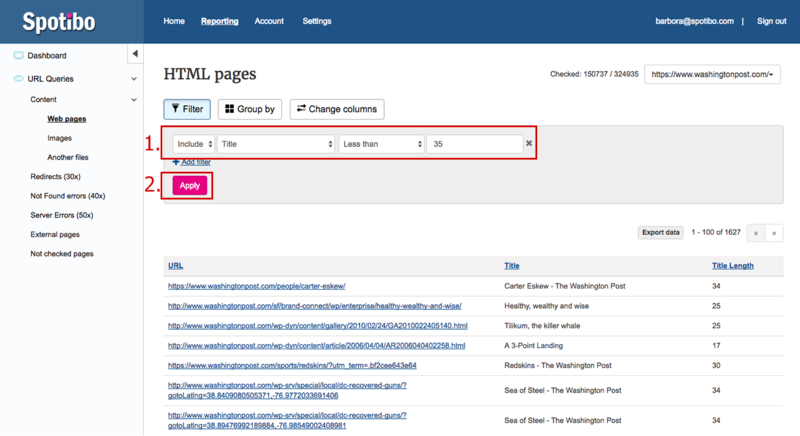 There are more ways how to apply filtering for this analysis, and it’s completely up to you how you use it. Use Filter and include “Title”, which is less than 35.